The contract is between the Community Interest Company, Fresh Eyes – People to People Travel and the client, who is any person travelling or intending to travel independently on a tour operated by the Community Interest Company. The contract, including all matters arising from it, is subject to English law and the exclusive jurisdiction of the English Courts. Prior to booking please read the Fresh Eyes – People to People Travel tour details and related information, and these booking conditions. If you have any questions please contact us for clarification. Please keep a copy of these booking conditions for yourself. To make a booking you must be over 18 and have discussed and agreed your travel, and its cost with Andy. Once you have agreed your travel plans with Andy he will complete the booking form and confirmation of travel itinerary with you and email this with a request for payment of deposit to you. Once you are happy that all the details are correct please sign the Booking Form and send it to us by post to 118 Manor Park, London SE13 5RH, UK or as a pdf to [email protected] . If you are booking 8 weeks or more before departure we will ask for a minimum deposit of £250 per person. For some tours we will require a higher deposit as advised at the time of booking. For bookings within the 8 week (56 day), period before departure, full payment will be required. The Booking Form contains details of our bank account for payment of the deposit and final amount. We will treat each signed booking form returned as an offer by you to purchase a Just Tour in accordance with these terms and conditions. A contract will only be in place between us and all persons named on the booking form once your deposit has cleared and we have issued a confirmation of this. The date on the confirmation will be the date the contract is made. We will invoice you for the remainder of the cost of your Just Tour, which you must pay no later than 8 weeks (56 days) before departure. If the balance is not paid on time we reserve the right to cancel your holiday and apply the cancellation charges outlined below. It is advisable for you to take out travel insurance at the time of booking to cover possible cancellation. Prices are per person and, for group tours are based on two persons sharing a twin room. Kindly note that double bedded rooms cannot be guaranteed, although requests will be noted at the time of booking. For all tours and accommodation we will provide prices for a room for one person (single occupancy) if requested. – significant exchange rate changes. We will not make any such increase to the basic cost of your holiday within 56 days of your holiday start date. The possibilities for a traveller with Fresh Eyes vary from place to place. For most places it is possible for Fresh Eyes to make arrangements for one independent traveller. In most places we will be able to arrange travel for two and three people travelling together. When you Talk to Andy we will be able to confirm this. – The same tour but for a different date. Alternatively a different tour, for another destination and date. – A full refund of all monies paid to us. Once we have agreed a tour and itinerary with you and issued confirmation of our contract with you, should you wish to change your arrangements we reserve the right to impose an amendment fee of £25.00 per booking. For alterations within 8 weeks of departure Cancellation Charges may apply. Before departure: From time to time it may be necessary or advisable to alter the arrangements for your holiday. Where such alterations are material we will inform you as soon as possible and give you the choice of accepting the comparable revised arrangements or a full and prompt refund of all monies paid, without interest payment. We are not able to pay you compensation if you choose not to progress with the suggested revised travel. There is an inevitable need to be flexible whilst on your Just Tours. The day to day agenda and ultimate aim of the holiday is taken as an objective and not as a contractual obligation. It is an important condition of booking that you accept this flexibility, and acknowledge that delays and alterations beyond our control, and their subsequent impact, may occur. If after departure we are unable to provide a significant proportion of the Just Tour we had agreed with you, we commit to acting reasonably to make suitable alternative arrangements. We will not cancel your holiday other than for the reasons shown in these conditions under ‘Group Size’ and for force majeure or the client’s failure to pay the final invoice. We will return promptly all monies paid as shown on the account. Your booking is accepted on the understanding that you realise the potential risks and hazards that can be involved in travel of this kind, including injury, loss or damage to property, discomfort and inconvenience. We will also accept your booking on the understanding that you realise that safety facilities in the developing world – in vehicles, on the roads and at the tourist sights – often do not match those in Europe. Where the client does not suffer personal injury, the Company accepts liability should any part of the tour arrangements booked with the Company not be supplied as described in the itinerary. However we do not accept liability for compensation should there be no fault on the part of the Company or its suppliers and the reason for the failure in the tour arrangements was the client’s fault, the actions of someone unconnected with the tour arrangements or could not have been foreseen or avoided by the Company or its suppliers even if due care had been exercised. Where the client does suffer personal injury or death as a result of an activity forming part of the tour arrangements booked with the Company, the same rules shall apply. Our responsibility does not start until you meet the group or our overseas representative at the designated start point overseas; usually the airport in the city at the start of the tour. We are not responsible for any additional expenses incurred by you in getting to the meeting point. 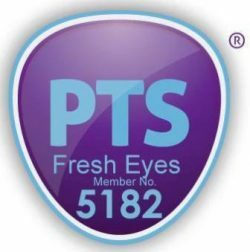 We are a member of Protected Trust Services: Fresh Eyes Member Number 5182 This ensures that in the event of our failure your money will be protected. You are responsible for the payments for your flight. Please note that flights and other products you purchase separately do not form part of your Just Tour with us. Our responsibility does not begin until the appointed time at the designated meeting point. If you fail to arrive there at the appointed time for whatever reason, we will not be responsible for any additional expenses incurred by you to meet up with the group. Any information given by Fresh Eyes – People to People Travel in regard to climate, clothing, special equipment, etc. is done so in good faith and must be rechecked by you prior to relying on it. Medical vaccinations and other preliminary arrangements including passport, visa procurement are your responsibility. Please check these before booking and comply with any recommendations in good time. Allow suitable time to obtain these vaccinations and consult your local GP. It is your responsibility to ensure that you are sufficiently fit and healthy to complete your chosen Just Tour. If you are affected by any condition, medical or otherwise, that might affect your or other people’s enjoyment of your chosen Just Tour, you must advise us before booking. If you do not do so, we may cancel your holiday at any time. We welcome people with restricted mobility, medical or particular care requirements or a disability, and aim to ensure that our Just Tours are as accessible as reasonably possible to all. However, in order that we may consider the possibility of making reasonable adjustments, it is important that we are fully informed of any needs, requirements and conditions before any booking is concluded. Please telephone us and we will be happy to discuss availability, suitability and potential reasonable adjustments with you, including any requirement for you or a member of your group to be accompanied by someone who is able to provide for any particular needs you or they may have, over and above any reasonable adjustments we are able to make. If you have special requirements a risk assessment might be required prior to confirming a booking or allowing participation in certain activities. Please note that we rely on the information you provide to help us anticipate and satisfy your needs. We therefore require you to give us a full and frank description of your needs. You must update us with any change in your circumstances prior to and during your stay. As such it may be necessary for you or a member of your party to be able to administer or attend to your/their own medical needs or have someone accompany you/them who can do so. Your behaviour should not be excessive, noisy or disruptive, especially at night. Your behaviour must at all times be appropriate to the culture of the country and the community and people that you are visiting. Offensive or illegal behaviour will not be tolerated and may result in the police being involved. We do not consider offensive or aggressive behaviour or language towards our staff to be acceptable. We may ask you and/or any member of your party to leave immediately if your conduct is considered by us to be inappropriate, likely to cause harm, or impair the enjoyment, comfort or safety of your neighbours, other members of your group, staff and the general public, or is likely, in our belief, to breach any terms of our agreement with you. No refunds or compensation will be given in these circumstances and we reserve the right not to accept any future bookings from you or any member of your party. as a result of unusual and unforeseeable circumstances beyond our control including but not limited to strikes, war, civil or political unrest or government action. In addition, since the services are provided to you as a consumer, we cannot accept responsibility for any losses related to any business of yours such as lost data, lost profits, loss of business, loss of contracts, loss of goodwill or other business loss that you may incur as a result of any breach of our agreement. We will also not be liable for direct damage or loss of any nature caused, or contributed to, by any defect in or failure (whether partial or complete) of any travel services not provided by us, and which we could not reasonably be expected to be responsible for. Except for those areas for which we do not seek to exclude liability, our total liability to you is limited to twice the basic tour price per person shown on the invoice. Any complaints regarding the holiday should be made to the tour leader and/ or local representative or contact who will normally take the appropriate action. If at the end of the tour, you feel that your complaint was not dealt with properly and were not satisfied with the response, you must notify us of your complaint in writing within 28 days of the actual completion date of the tour. We will try to agree a settlement with you. If, despite our best efforts and having followed the above procedure for reporting and resolving your complaint, you feel that it has not been satisfactorily settled, we recommend that it is referred for arbitration under the ABTOT Travel Industry Arbitration Service. An Independent Arbitrator will review the documents relating to any complaint and deliver a binding decision to bring the matter to a close. Details of this scheme are available from The Travel Industry Arbitration Service, administered by Dispute Settlement Services Ltd at Old Exchange House, Marford Road, Wheathampstead, Herts, AL4 8AY or from ABTOT, Tower 42, Old Broad Street, London EC2N 1HG.